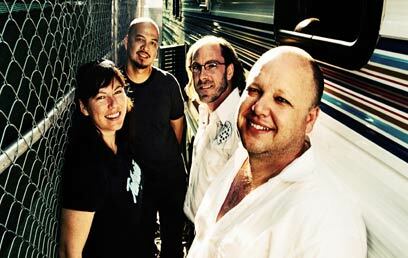 The Pixies band's decision to call off its Tel Aviv concert, which was scheduled to take place this Wednesday, has sparked a row in the local music industry. The American band followed in the footsteps of artists Santana and Elvis Costello, who canceled their gigs in Israel for political reasons as well. Ever since the cancellation was announced Sunday morning, thousands of Israeli surfers have been posting angry messages on the band's Facebook page, saying that the group members "should be ashamed of themselves" and slamming the band for "supporting terror". Producer Shuki Weiss, who promoted the band's concert in Israel, admitted Sunday that the cancellation was the result of "cultural terror against the State of Israel and against art in general". "I regret the fact that repeated attempts to bring good music to Israel and produce concerts and festivals of high quality fall victim of a series of political events, which are expressed in new patters of actions which I can only define as a type of cultural power against the State of Israel and art in general," said Weiss. "Intense pressure to boycott Israel – including threatening letters, commercial sanctions, cancellations of shows from influential countries – is being exerted by Arab and other elements on most artists (as well as writers, industrialists and others) across the world. "This has turned into a painful series of cancellations with one sparkle of art – one foreign band which understood the difference and chose to focus on music and ignore the threats, and did not even consider disappointing and punishing its fans," Weiss said, referring to the Placebo band which performed in Tel Aviv on Saturday evening. "Otherwise, all those nice expressions, like 'Music speaks louder than words' and 'Bridge over troubled water' will be devoid of meaning. "As for those who choose not to come, we will wait for them until they realize that we are not alone in this game and that the cynical and ugly use of art as a weapon will eventually force everyone to look deep into the actions of many governments across the world and put the relations of artists and their fans to the test. "I would like to suggest to those elements working to cancel the arrival of artists not to celebrate their 'victory', and to call on the community of artists in Israel to communicate, talk and work to bring people closer together, bring down bridges and come up against the misuse of cultural terror in places and countries and not to be swept into the abyss of loneliness, which will only strengthen the hatred and diminish the moral power of the freedom of speech and freedom of art. "I'll keep working to produce events in Israel and worldwide because it's important and because it's what I do," he concludes. "The smile and the satisfaction of the visitor in good events are undoubtedly worth it. Keep on rocking in the free world." See all talkbacks "Producer: Israel subject to cultural terror "